I know we've been in December for 7 whole days, but I'm JUST now showing you my Christmas Advent Tree. I loved the way it turned out! 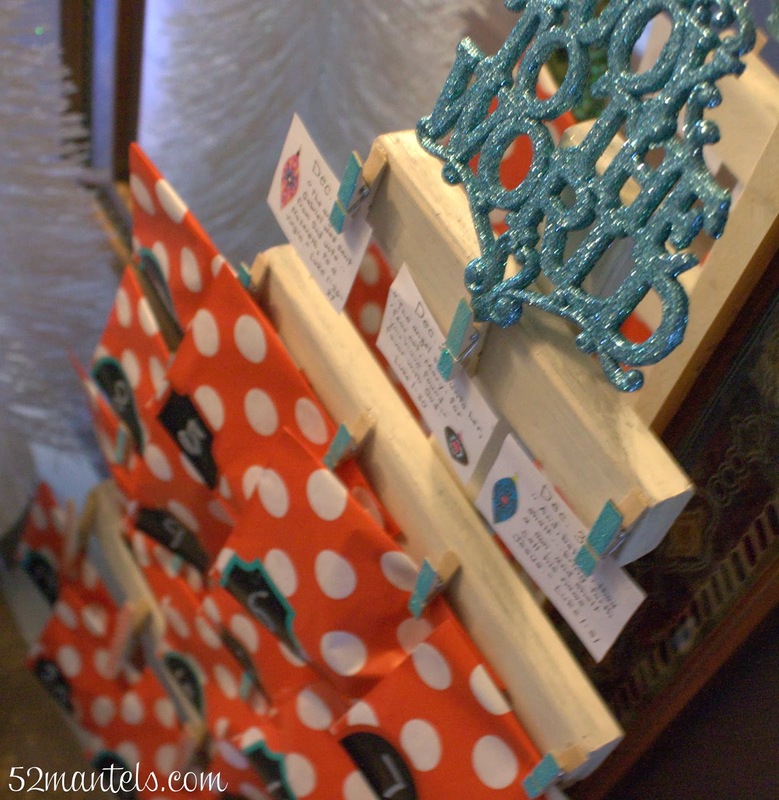 I was going to do a hanging advent calendar, like I did last year. But, while visiting a friend, I spotted her adorable tree and knew I wanted one too! Lucky for me, she had the supplies in her garage and we whipped it up in no time! 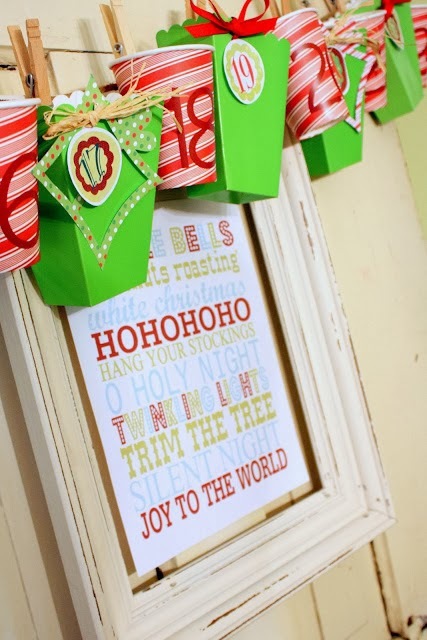 The tutorial we used can be found on Shanty-2-Chic. I didn't bother photographing our process, since we followed their instructions exactly! 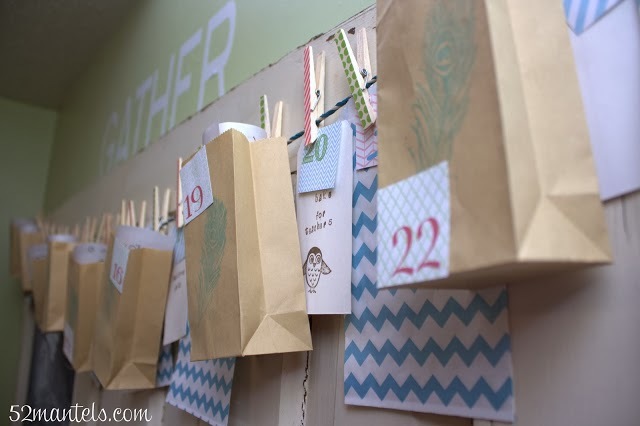 Last year, I focused on creating family memories, so I filled our advent bags with special activities. It was a great idea, in theory, but it really did get overwhelming in reality. Trying to come up with 24 activities (even though some were as simple as a coloring sheet), was kind of a mommy-drain. Know what I mean? 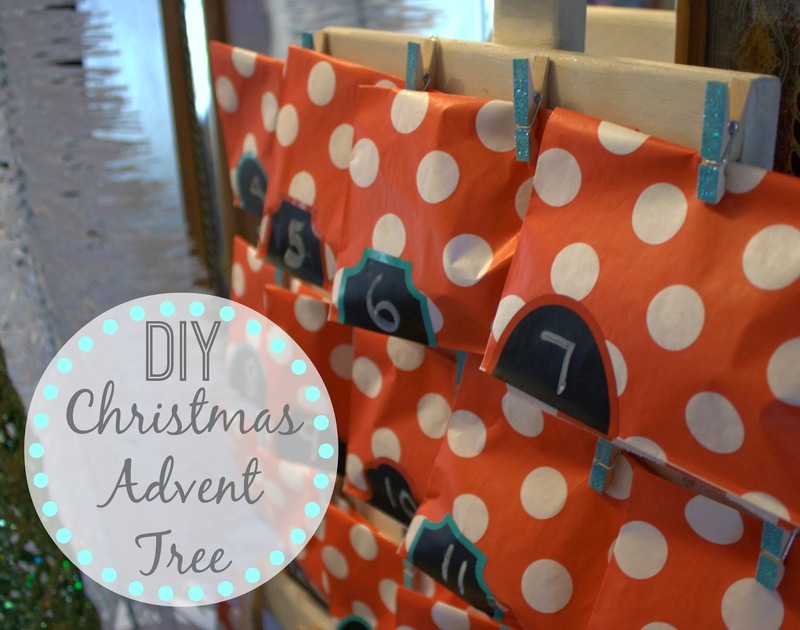 So, this year I went SUPER simple and focused on what the advent countdown is really about; preparing our hearts for Christ's birth. With that said, each bag contains one new scripture verse and 1 hershey kiss. That's it! I printed the sweet Bible verse advent cards from Happy Home Fairy. They're free and super cute! I just printed them on plain paper and cut them into 25 squares. Quick and easy! I got 25 red and white treat bags from a craft fair. And, the chalkboard labels and clothespins were found on the dollar spot at Target. 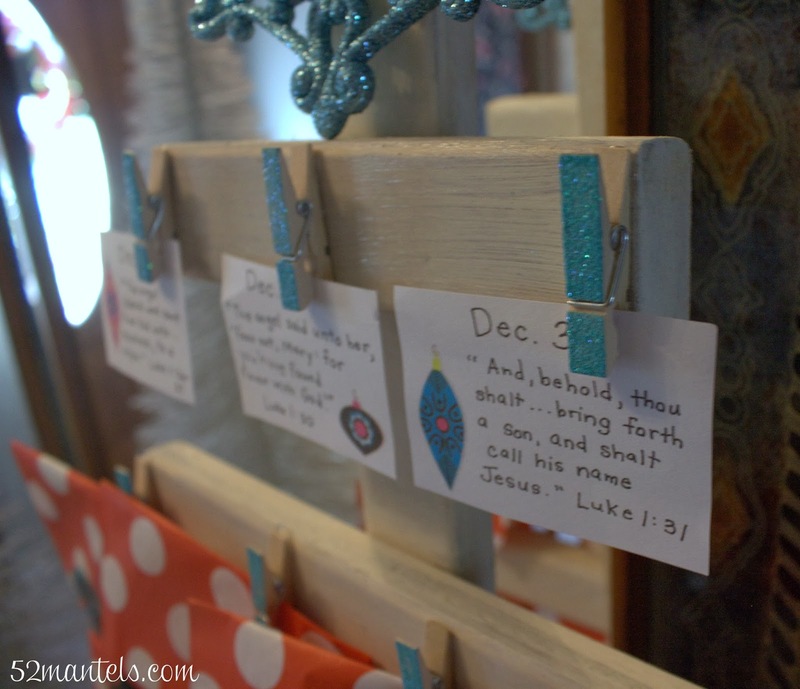 Each day, when we open a bag, we read the verse and then clip it to the tree. Periodically, I read back through all the verses (maybe once every 3 or 4 days). I have an almost-3 year old, so I keep it pretty simple. I really play up that we're counting down to Christ's birth, which is Christmas day. I try to be as repetitive as possible with my language so she really grasps the concept. Obviously, you would tailor your approach to suit your child's age. And, that's it! 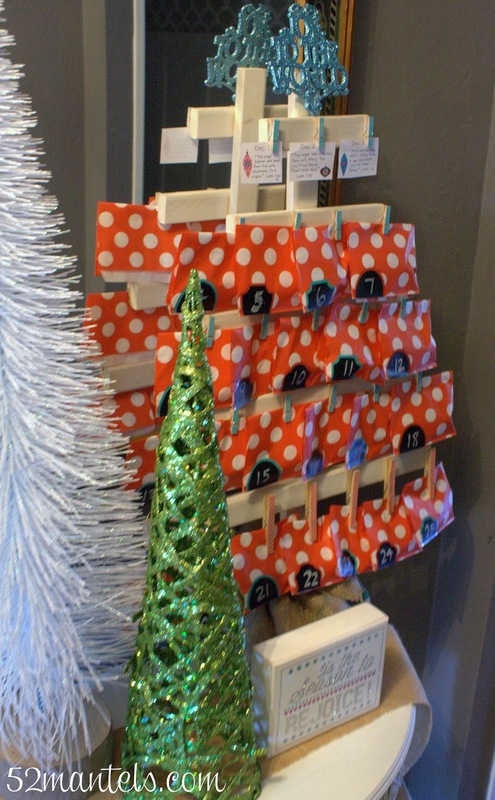 This year's advent countdown! Fun, don't you think? 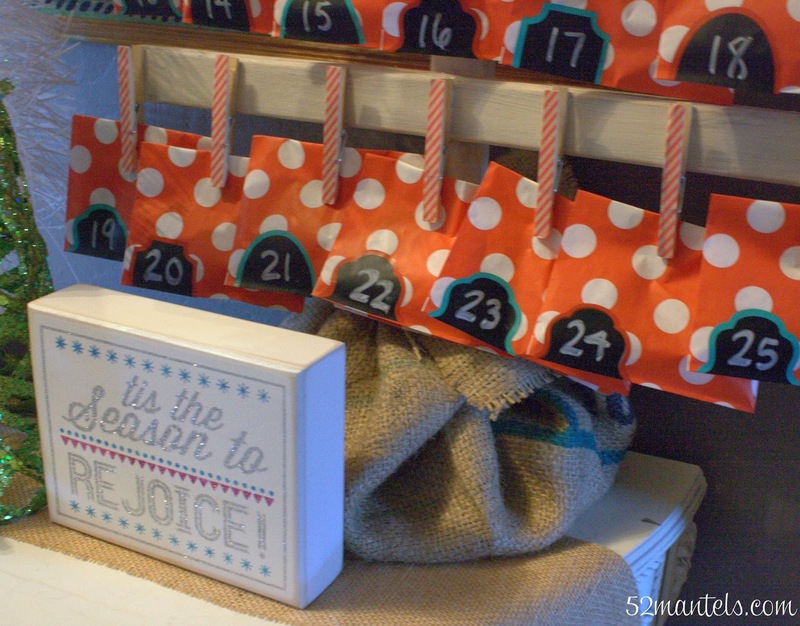 Did you put up an advent this year? What's in your countdown? I'd love to hear about it! Jaeger-LeCoultre are yet to solely bundled some sort of foudroyante that is certainly resettable from the Duomètre à Chronographe, they've already patek philippe replica likewise were able to make it possible for the many chronograph displays for being reset in unison by using this monopusher. This architectural mastery on the mobility is usually superb possesses also been impeccably complete towards best typical. The balance tire is usually somewhat substantial, busting on 7, six-hundred vibrations per hour which often means 6-8 vibrations each minute (similar while using the matter on the foudroyante). The proprietor chanel replica sale will develop the happiness connected with experiencing and enjoying the german-silver from the mobility 'age' after some time. This dial on the 2013 Duomètre à Chronographe attributes spaces on 5 in addition to 7 o'clock, houses this adequately simple electric power pre-book clues. This mix off this grained finish off, appliquéd numerals in addition to silver in addition to violet features in concert is perfectly sublime. This Duomètre à Chronographe can be quite on the great chronograph. Timed while using the launching on the Black Knight Springs up with theaters with 2012, that's one more Batman flick by rolex replica Christopher Nolan, Jaeger LeCoultre reported the latest confined version Batman Reverso check out. That completely new type will be based upon this Reverso Extra Lean Tribute to help 1931 check out although has a one of a kind Batman brand lacquered within the slow area. This dial area on the check out carries a incredibly luxurious black color dial, paired that has a black color alligator secure in addition to s / s.
I am definitely mortgage for home enjoying your website Resin Bound Permeable Paving . You definitely have some great insight and great stories. helloo.....It's the little changes that will make the most significant changes. Thanks a lot for sharing.. It's the little changes that will make the most significant changes. Thanks a lot for sharing..It's the little changes that will make the most significant changes.